One of the aims of the founders of the Co-operative Movement, The Rochdale Pioneers, was “to build a number of houses for members” after achieving their first aim of “the establishment of a store” to sell basic necessities to members which began trading on 21 December 1844; the date recognised internationally as the founding of the global Co-operative Movement. The first housing provided by a co-operative was built in Spotland Road, Rochdale by the Rochdale Pioneer Land and Building Company in 1861. This was taken over by the main Rochdale Equitable Pioneer Society in 1869; the main society having built eighty four homes for members itself in Equitable Street and Pioneer Street, Rochdale in 1867. The second wave of co-operative housing development came with the tenant co-partnership movement in the early 1900s. 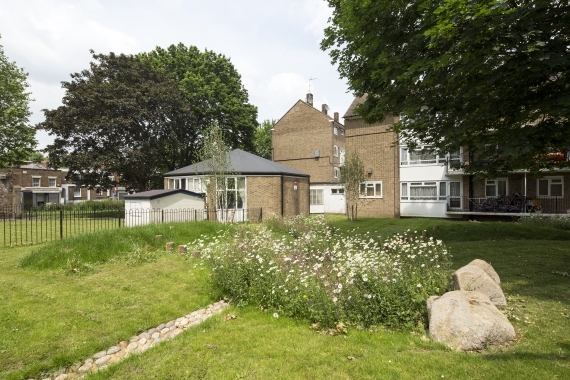 Starting in 1901 with the founding of Ealing Tenants Ltd, the first tenant co-partnership co-operative was built at Brentham Garden Suburb, Ealing; the name is showing the close alliance to the garden city movement of pioneering architect Ebenezer Howard. Other well known examples of co-partnership housing are at Hampstead Garden Suburb, now one of the most expensive parts of London, and Letchworth Garden City. The development of co-partnership housing was interrupted by the First World War. After the war legislation gave the co-partnership movement the same access to government aid as council housing, but in the post war world, most councils chose to build for themselves. The co-partnership movement slowly failed because it was funded by a mix of funding from tenants and non resident investors, the involvement of the latter creating pressure for the sale of the homes, with some asset stripping along the way. The inter-war decades of the 1920s and 1930s saw the growth of the two dominant forms of tenure: council housing for working people and the emergence of home ownership for sale to the emerging middle classes. From the end of the Second World War to the mid 1970s, UK public housing policy was dominated by the encouragement of individual home ownership through tax relief on mortgage interest and the creation of a large portfolio of council housing (public housing) which at its peak in the 1970s provided homes for 31.5% of the population. In 2009, 69.5% were home owners, the majority purchasing with a personal mortgage loan, 12.4% were living in the expanding private rented sector, 9.7% in council housing (reduced in scale by the Right to Buy given to council tenants in 1980 and by large scale housing stock transfers), 8.4% in homes rented from not-for-profit housing associations and only less than 1% (approximately 0.6%) living in homes owned or managed by a co-operative or mutual housing organisation. 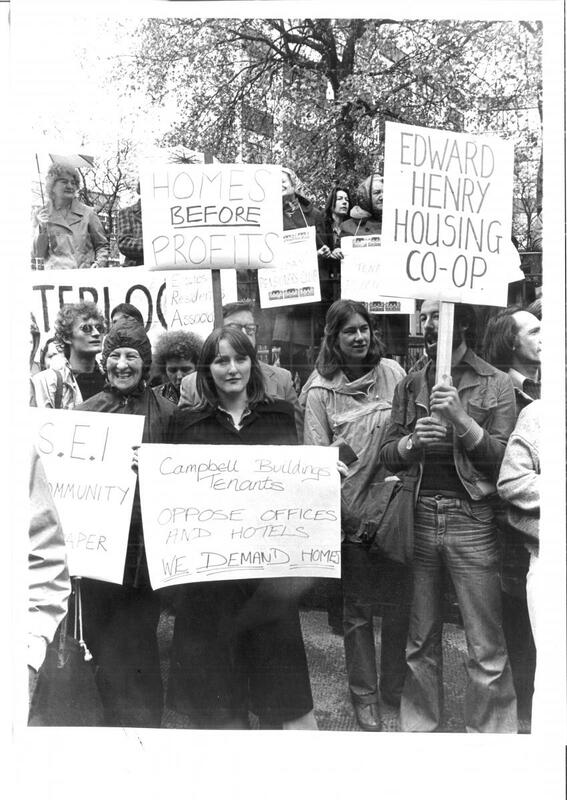 A third wave of co-operative housing development began in the 1960s with the development of Co-ownership housing. This was genuine co-operative ownership and management by residents who paid a monthly rental to meet the cost of servicing the mortgage borrowed by the co-operative to build their homes. It was made affordable by government tax relief on the mortgage loan. When members moved out they were entitled to a premium payment calculated by a formula in the lease. With rising interest rates West Whitlawburn Housing Co-operative, Cambuslang, Glasgow and market house prices, to which member premium payments were linked, co-housing became increasingly less affordable in the late 1970s. Over 40,000 co-ownership homes were built, but most co-ownership societies were wound-up in the early 1980s when the Conservative government led by prime minister Margaret Thatcher gave members the right to wind-up their society and own their own homes individually; this policy often generating windfall gains for members fortunate to be residents at the time. The small fourth wave of UK housing co-operatives are relatively young compared to other European countries. They were founded in the 1970s and 1980s with government assistance programs designed to provide homes for low and mid-income families by not-for-profit housing associations (registered providers), some of which was used to create housing co-operatives. In addition, a small group of housing co-operatives have developed without government assistance using member loans and mortgages to raise funds and growth. The political agenda changed in the 1990s favouring large-scale housing associations as the social housing delivery mechanism over housing co-operatives. For this reason, the development of new housing co-operatives practically ceased in the 1990s, although a small number of homes continue to be developed by dedicated co-operative housing service agencies and registered providers which recognise the benefits of co-operative ownership and control. 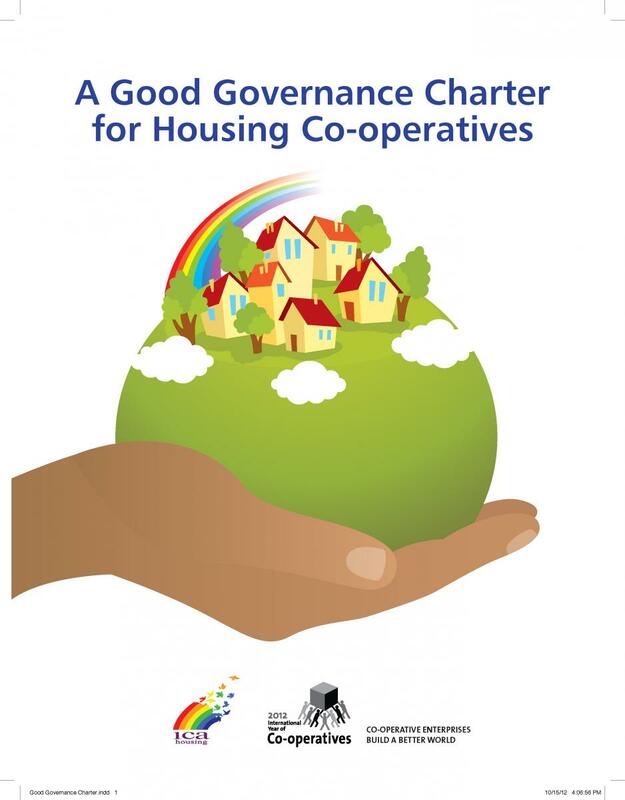 The housing co-op movement is participating actively in the reorganisation of the council housing stock through tenant management co-operatives and council housing stock transfer to community mutuals and housing co-operatives. Measuring the size of the co-operative and mutual housing sector in the UK is not easy. There is no definitive list of all housing co-ops and for those where data is available there are issues of consistency and accuracy of the data provided. In 2007 in England, there were 243 housing co-operatives registered with the Housing Corporation, the then statutory regulator with an average stockholding of 40 homes owned by the co-operative, showing the relatively small size of these tenant-ownership co-operatives. At the last reliable count in 2002 there were 202 tenant management co-operatives managing a total of 84,000 homes owned by local councils. At the last reliable count in 2002 there were 202 tenant management co-operatives managing a total of 84,000 homes owned by local councils. These were spatially concentrated in 53 local authorities, mainly metropolitan authorities, in London (66%) the North West (18%) and the West Midlands (8%) a pattern not dissimilar to tenant ownership co-operatives. There are now also five community gateway resident-led mutual housing associations in England and four community mutuals in Wales which have taken over the ownership of their homes from the council. Tenants of Rochdale Council in Lancashire, the birthplace of the Co-operative Movement, and the council have voted in favour of transferring the council’s 13,664 homes to a multi-stakeholder co-operative of tenants and employees. The vote coming just weeks after Rochdale was declared the World Capital of Co-operatives at the ICA General Assembly in 2011. 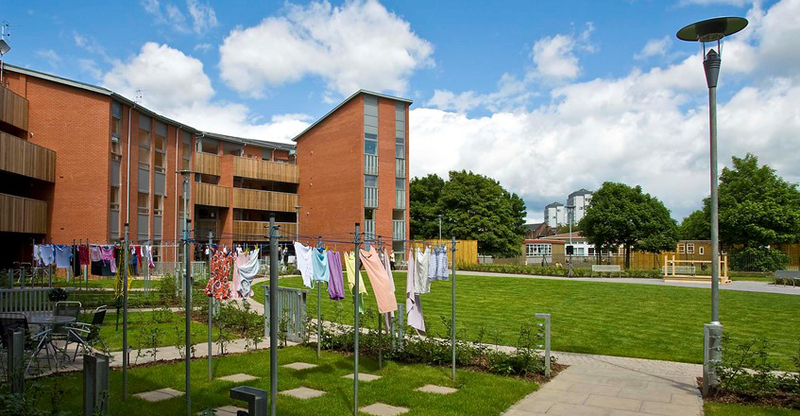 The Rochdale transfer breaks new ground in co-operative housing development. 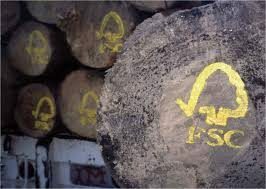 Scotland also has over 20 co-operatives, the biggest being Tenant’s First based in Peterhead, and some very successful stock transfer co-operatives like West Whitlawburn outside Glasgow. 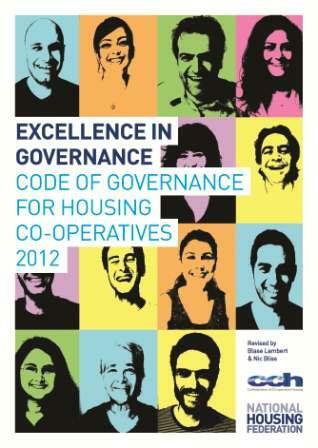 There is only one small housing co-operative in Northern Ireland. 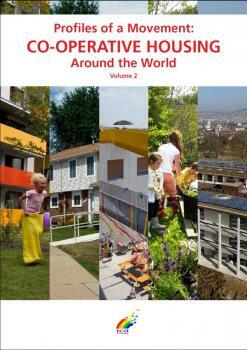 A fuller history of the development of housing co-operatives in the UK can be found in the report ‘Forging Mutual Futures – Co-operative & Mutual Housing in Practice; History and Potential’ published by Birmingham University and in ‘Bringing Democracy Home’ the report from the Commission on Co-operative and Mutual Housing. Further historical detail can also be found in ‘Common Ground for Mutual Home Ownership’ published by CDS Co-operatives. For a number of years, the country has been facing major housing challenges. Housing supply simply does not meet demand, a situation made worse by demographic changes and population growth. As a result the UK is facing serious problems with housing supply and affordability both for low and middle-income families. 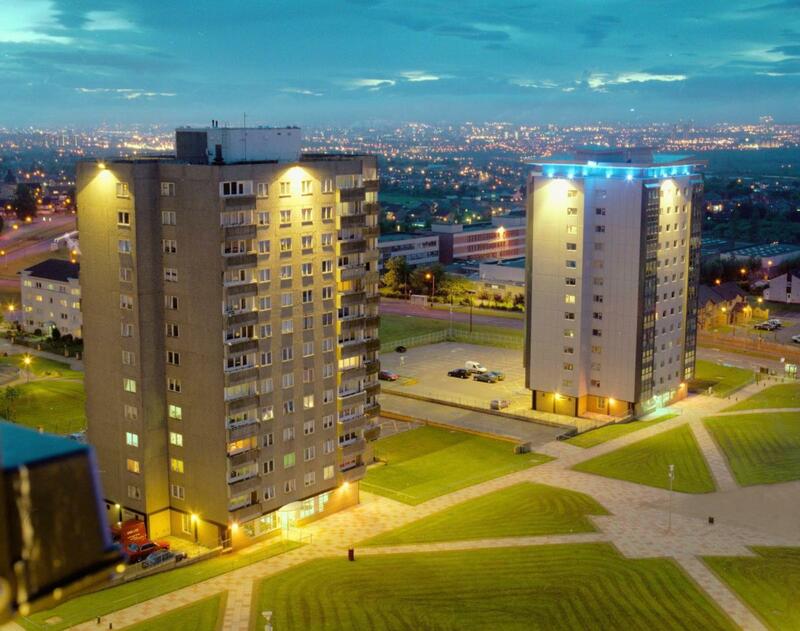 Council housing has had substantial investment in major capital repair after years of underinvestment between 1979 and 1997, which during the years of the Labour governments of 1997 to 2010 was the major focus of government investment. The present Conservative-led coalition has abandoned the last government’s target to build three million new homes by 2016 to meet demand and, as part of its austerity drive to reduce government debt, has cut investment in the national affordable housing programme over the next four years by 63%. All new homes built under the programme will be let at ‘Affordable Rents’, which will be up to 80% of market rents. In many places these rents will not be affordable to working households. In this context, the co-op housing movement, in collaboration with other housing organisations, is proposing several innovative initiatives such as Community Land Trusts, Mutual Home Ownership and the Community Gateway and Co-operative stock transfers. 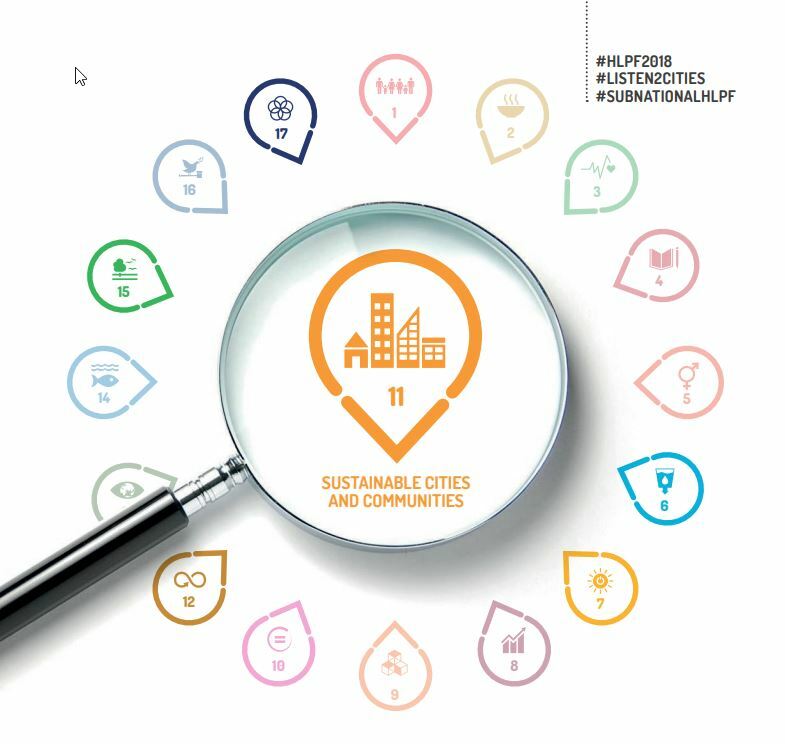 Issues such as availability of land and financing, appropriate legal framework, sustainable development and community engagement are being addressed by these initiatives, particularly in Wales which has a supportive Labour and Co-operative-led national government. 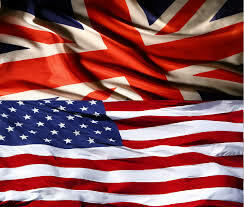 However, like the US and other western economies new housing starts have fallen rapidly in the wake of the global financial crisis to the lowest number ever in peacetime since 1924, with just an estimated 120,000 new home starts last year in comparison to the previous government target of 246,000. Ironically, the financial crisis may prove to be a stimulus for new housing co-operative development. Large housing associations, the main developers of new affordable housing in recent years, can no longer cross subsidise development from profits on homes built for sale. 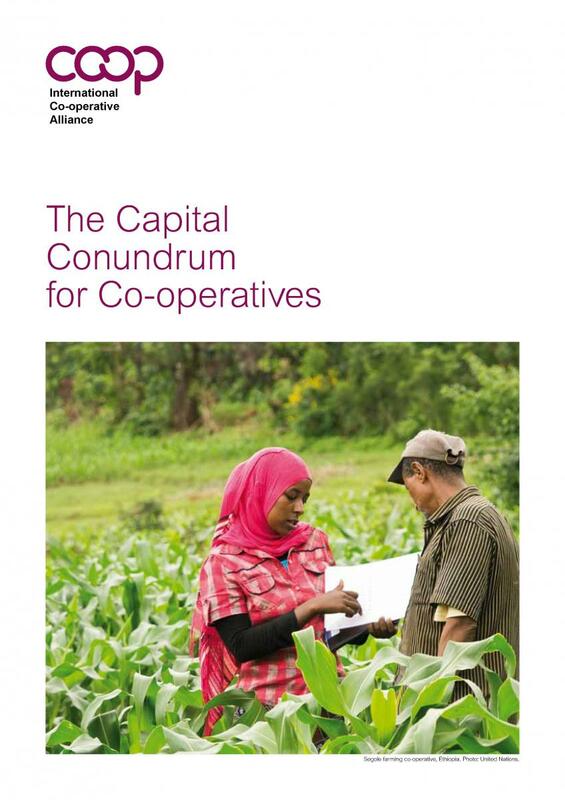 Also co-operatives have a unique status in UK law which should enable them to access investment from long term investors, which may lead to the development of a new wave of co-operatives in which members have an equity stake similar to the co-ownership societies of the 1960s and 70s. 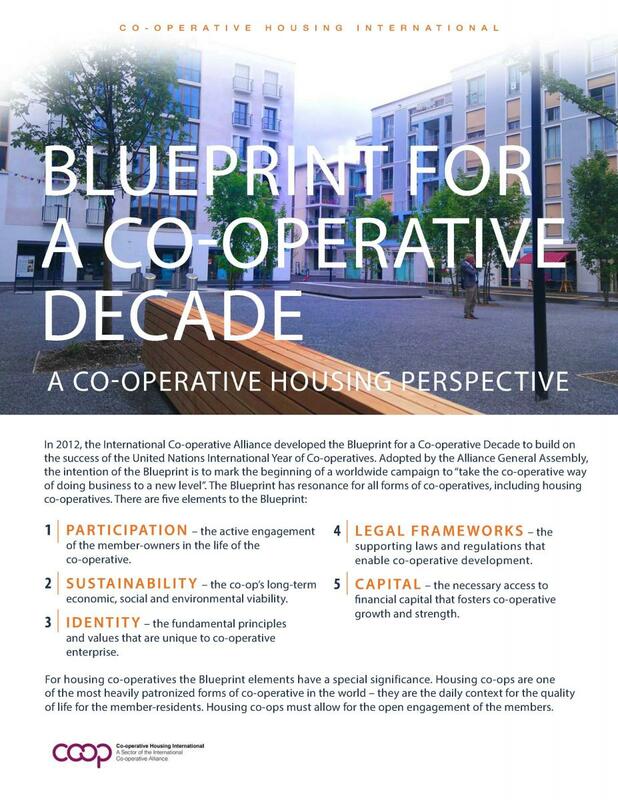 Interest in the potential of co-operatives has stimulated the report of the Commission on Co-operative and Mutual Housing ‘Bringing Democracy Home’. 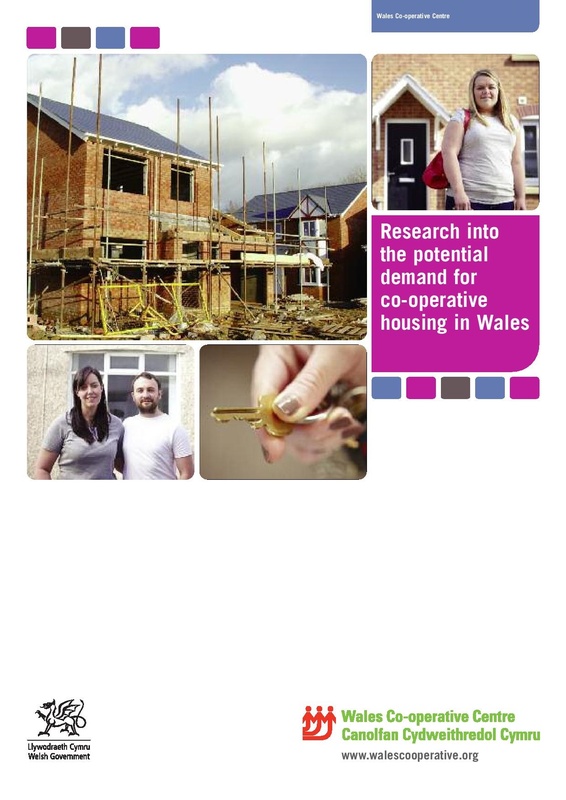 As the report shows, the small co-operative housing sector in the UK is very successful. Housing co-operatives are generally robust and financially stable and perform, on all measures, better than other types of affordable housing providers. The future of this small sector seems secure. It is also being enhanced by the promotion of a governance and management accreditation programme developed by CCH in concert with the statutory regulator (now the HCA). This is aimed at ensuring good governance and sound management in all housing co-operatives. Tenant Management co-operatives in council housing are a well established mechanism for tenant control, with the development of new tenant management co-operatives being encouraged by government and by a simplification of the process for establishing them. Community Gateway (in England) and Community Mutuals (in Wales) are growing in number and success, with the co-operative Rochdale Boroughwide Housing transfer creating a new form of large scale housing co-operative in which both tenants and employees providing the housing service have a stake as members. This sets a new precedent and standard for future council housing stock transfers which may be emulated by other local authorities where stock transfer remains an option. The combination of the global financial crisis and the UK Coalition government’s austerity programme have combined to make the development of new, tenant-owned, affordable rental housing cooperatives significantly more difficult. They will only be developed where there is a combination of local support and an enlightened large registered provider housing association partner able to access the limited grant funding and use its financial capacity to help create a new co-operative. But registered providers too are facing challenges. The new ‘Affordable Rent’ regime will consume their capacity to raise capital for investment; they are using up their asset cover for new investment at an increasing rate and will soon be borrowing at the limit of their financial gearing capacity. 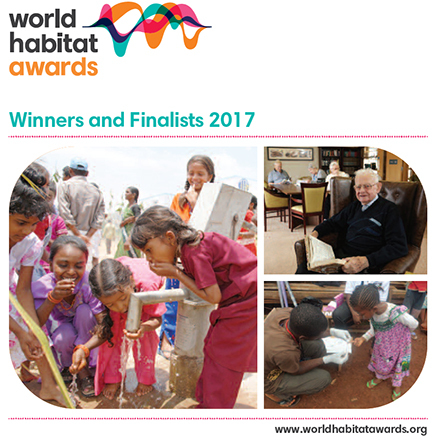 This, combined with the realisation that more needs to be done to bridge the yawning gap between the scarcity of supply and the growing demand for affordable housing is renewing the interest in the potential of new forms of cooperative and mutual housing tenure as a means of leveraging new sources of long term finance, such as pension fund investment, into the provision of affordable housing. This is particularly the case in Wales where the Welsh Labour Party made the development of new forms of co-operative housing, such as Mutual Home Ownership in which members have an equity stake in their homes, a key 2011 election manifesto pledge. 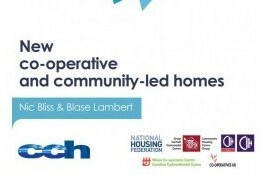 With Labour now in control of the Welsh Government the commitment to use public sector land for co-operative housing is a firm commitment of its post election Agenda for Wales. The commitment in Wales is stimulating greater interest in the potential for housing co-operatives to develop alternative forms of tenure and financing in other parts of the UK. 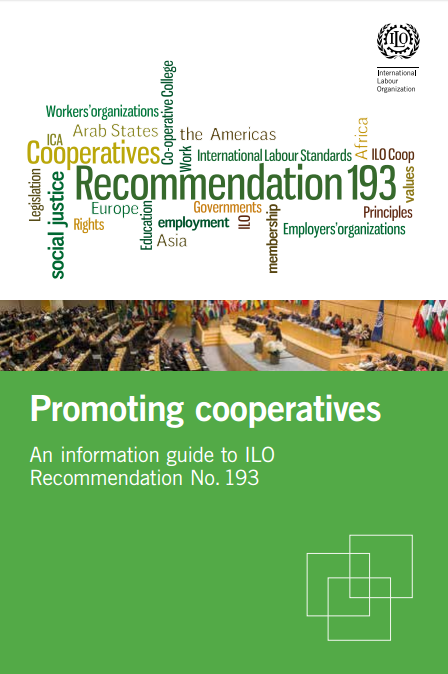 There is no specific legal structure for co-ops in the UK. 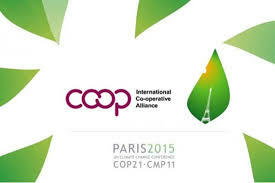 However, the Co-operative and Community Benefit Societies Act 2014 (formerly the Industrial and Provident Societies (IPS) Act 1965) under which co-ops are incorporated contains statutory protection of the cooperative principles and requires co-ops to comply with the seven internationally adopted co-op principles. 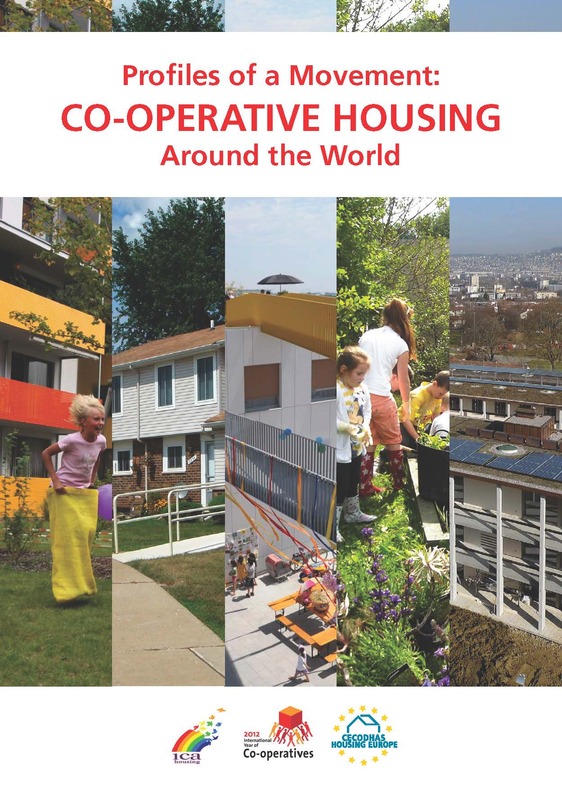 There are currently 5 types of housing co-operatives in the UK: ownership housing co-operatives, co-operative and community led stock transfer organisations which have taken over the ownership of council housing in England, Scotland and Wales, tenant management housing co-operatives, short-life housing co-operatives, and self-build housing co-operatives. Most ownership housing co-operatives were developed in the 1970s and 1980s with government assistance in the form of capital grants to make rents more affordable. 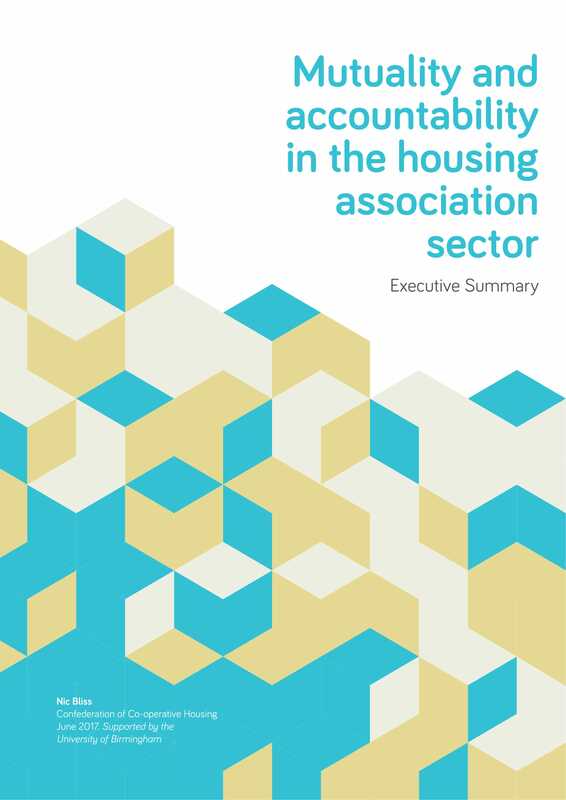 Today, there are 243 housing co-operatives registered with the Homes and Communities Agency (HCA), the government agency responsible for regulating affordable housing providers in the UK. Because public funds were provided, the HCA regulates the operations of these co-operatives. They are fully mutual, i.e. members must be tenants, and tenants must be members. They are owned, managed and controlled democratically by the members/ tenants on one member, one vote basis. They elect a management committee (board of directors). 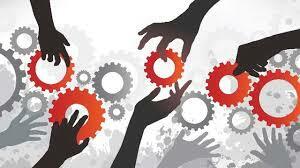 The majority employs staff or buys operational services from agencies or housing associations. The members/tenants collectively own the property but each member/tenant does not have individual equity in the property. They are traditionally quite small (an average of 40 homes). 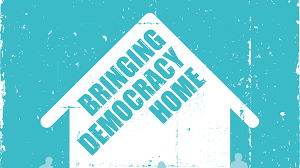 Independent research shows that they are the most successful housing providers in terms of performance and resident satisfaction (see ‘Bringing Democracy Home’ the report of the Commission on Co-operative and Mutual Housing). As a requirement, a portion of vacant units must be filled through waiting lists maintained by the local housing authority, usually a minimum of 50%. There is also a small portfolio (around 25) of ownership housing co-ops developed without public funding. These housing co-operatives are financed through mortgages and member loans. To that effect, they have set up a support network (Radical Routes) along with an investment tool (Rootstock) that every housing cooperative must invest in. They have an elaborate recruitment process along with strict eligibility rules. Low-income people are eligible for housing allowances. 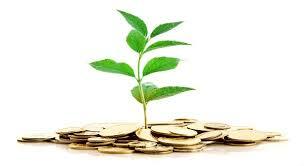 Their investment tool can lend them around 20% to 30% of the purchase value. Stock transfer of council housing to non-governmental housing associations was introduced in 1988. The impetus behind the initiative was the need to renovate the housing stock in the control of local councils and the borrowing limitations placed on council’s by central government. Improved governance was also another factor in the transfer from local government to non-government management. 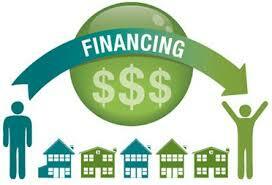 Stock transfer is a voluntary process and the tenants are involved in the decision making process. Transfer is done to a registered low cost rental housing provider– a status given to organisations that are registered with and regulated by the government regulator, the HCA. The selling formula of council housing properties to registered providers is complex and based on a “discounted cash-flow model of valuation deriving from income and expenditure projections over a thirty-year period”. Sometimes, the cost of repairs and outstanding debts create a negative equity and the transfer is done at no cost, plus a grant to the not-for-profit registered provider or housing co-operative. When the value is positive, the registered provider borrows money to finance the transfer from the private finance market, although this may now be hard to come by for future transfers. 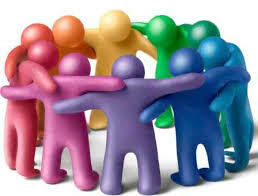 Stock transfer can also by approached with the Community Gateway Model developed by the co-operative housing movement. 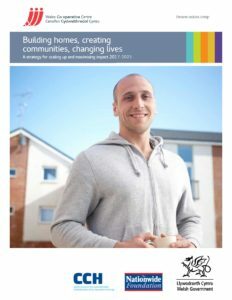 It is a step-by-step process to facilitate Council housing stock transfer, which could eventually lead to setting up a new registered not-for-profit ‘community gateway association’ which is locally controlled by the residents it serves, all of whom have the right to become members by paying a nominal £1 for a non equity voting membership share. For more information about the Community Gateway approach to council housing stock transfer click here. A similar approach to housing stock transfer in Wales leads to the development of Community Mutual stock transfer housing associations. Legislation adopted in 1994 gave all tenants of council housing the legal Right to Manage their co-operatives, giving tenants for the first time housing management and maintenance responsibilities. The actual ownership of the properties remains with the local council, but the management is done by the co-operative. 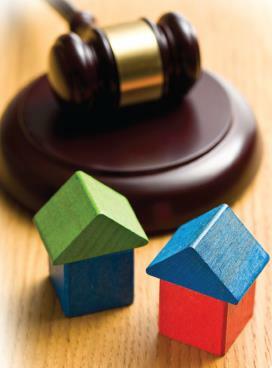 A feasibility study is carried out as well as an assessment of tenants’ interest as a first step. A proposal is presented to the tenants, which includes the feasibility study and the management agreement. The co-operative is formed by a majority vote. A management agreement is signed between the local authority and the co-operative. The co-operative has the option to take on management responsibilities gradually through the Modular Management Agreement. The agreement also includes a financial arrangement (management allowance) to cover the costs of the transferred management activities. The management agreement is signed for 5 years after which tenants are asked to evaluate the arrangement to determine whether they wish to maintain the agreement. Tenant management housing co-operatives democratically elect the board of directors or management committee, which is entirely composed of tenants. Government grants are available to assist in the formation of these housing co-operatives. Evaluation reports point to the success of these co-operatives (tenants’ satisfaction, economical operating costs, building upkeep, rent collection, safety, community and residents services, etc.). Short-life housing co-operatives, most of which are in London or the South of England, take over properties that are not commercially rentable, for a limited period of time. The co-op does not own the properties, but has a lease with the landlord. The tenant-members are responsible for keeping the property in good order and carrying out minor repairs. Like ownership housing co-operatives, short-life co-operatives are registered as co-operative societies under the provisions of the Co-operative and Community Benefit Societies Act 2104, members having a ‘par value’ nominal £1 non equity share in the co-operative. Short life co-operatives have declined in numbers in recent years because landlords, mainly local councils or other public bodies have been taking the housing back for improvement or sale. Self-build housing co-operatives are housing organisations where the members have been involved in the building of their properties. The labour that they put into building their properties gives them “sweat equity” in a form of a percentage of the property. They also pay a rent for the operating costs. Only a small number of self-build co-operatives exist and each has different arrangements, mainly in partnership with a registered provider of low cost rental housing (a housing association). Under the Coalition government’s new ‘Affordable Rent’ regime, government grants from the governments Homes and Communities Agency are only available to registered providers of affordable housing that have the assets to raise substantial sums of private finance. Given the shortage of funding available from commercial banks, registered providers are turning to the bond markets to raise funds through long term bond issues. The level of grant funding has also reduced because of the higher ‘Affordable Rents’ (up to 80% of the open market rent for similar properties) which registered providers bidding for grant funding are now required to charge for new homes. This makes it very difficult for small housing co-operatives to arrange funding for rental housing. The only new co-operative rental housing that is likely to be produced under this new ‘Affordable Rent’ regime will be where a registered provider uses its financial capacity to develop a co-operative. 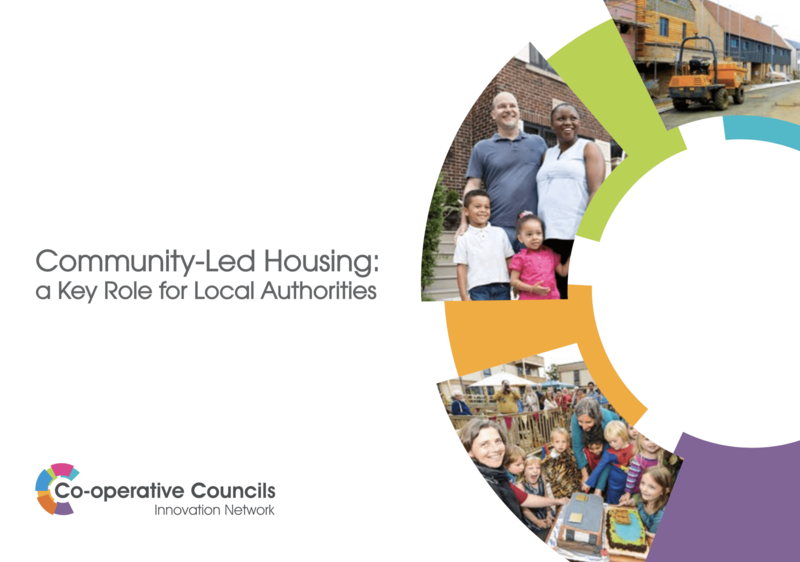 The Confederation of Co-operative Housing is working with the HCA to encourage registered providers to consider developing co-operatives where there is support for them from the local authority, but only a small number of registered providers have indicated an interest in this initiative. Industrial and Provident Societies (IPS) Act 1965 – it is specifically designed for co-ops and societies set up for the benefit of members (a co-operative) or for the benefit of the community. 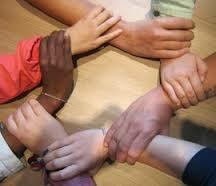 Co-operatives can also register as non-profit companies limited by guarantee. (A number of co-operatives, particularly ones financed by members without government grants, have chosen this registration option because of easier administration available under Companies Act legislation, although this advantage has been largely removed by improvements in the arrangements for the administration of Industrial and Provident Societies). Housing co-operatives do not have their own special legislative framework in housing or property law and operate, like other landlords, under landlord and tenant legislation. The special democratic nature of ‘fully mutual housing co-operatives – (legally called ‘cooperative housing associations’) is recognised by their exclusion from statutory forms of tenancy and the statutory protection of tenant rights. A fully mutual co-operative is one where the rules of the co-operative require that all tenants be members and that only members can be tenants. 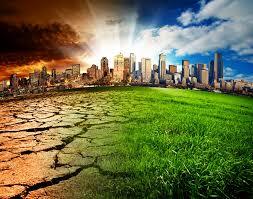 Ownership co-operatives and short-life co-operatives tend to be registered as fully mutual co-operatives. Members of tenant management co-operatives have statutory secure tenancies because they remain tenants of their council landlord. Community Gateway associations are registered under rules that do not require all tenants to be members, so their members have statutory assured tenancies, like the tenants of other registered providers of low cost rental (housing associations) registered with the HCA. All co-operatives that have provided housing with grant funding from government must be registered with and regulated by the HCA. 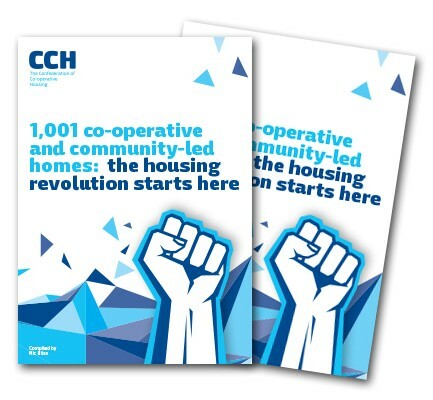 Founded in 1993, the Confederation of Co-operative Housing (CCH) is the UK organisation representing housing co-operatives. Its membership is open to housing co-operatives, regional federations of housing co-operatives and tenant-controlled housing organisations. 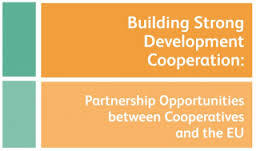 The Confederation’s objectives are to promote co-operative and tenant controlled housing as a viable alternative form of tenure, to represent their interests and to provide a networking forum. For more information, visit: www.cch.coop You can download a presentation on the current state of co-op housing in the UK here. .
Other co-op housing membership based organisations are very active in the UK providing support services to housing co-ops such as the Co-operative Development Society Limited (CDS Co-operatives) (www.cds.coop), and BCHS in Birmingham (www.bchs.coop). The Co-operative Housing Finance Society (CHFS) is an independent financial intermediary organisation that enables housing cooperatives to get mortgage financing by providing private lenders with a twelve-month mortgage interest guarantee. Although it issued guarantees for £14m of funding for new co-operatives between 1997 and 2002, with the changes in grant funding and decline in co-op housing development its business has been limited to monitoring and renewal of guarantees. 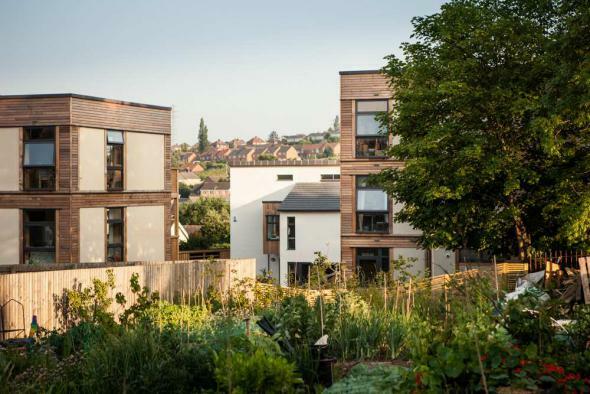 It is considering what role it can play in funding new types of housing co-operative. 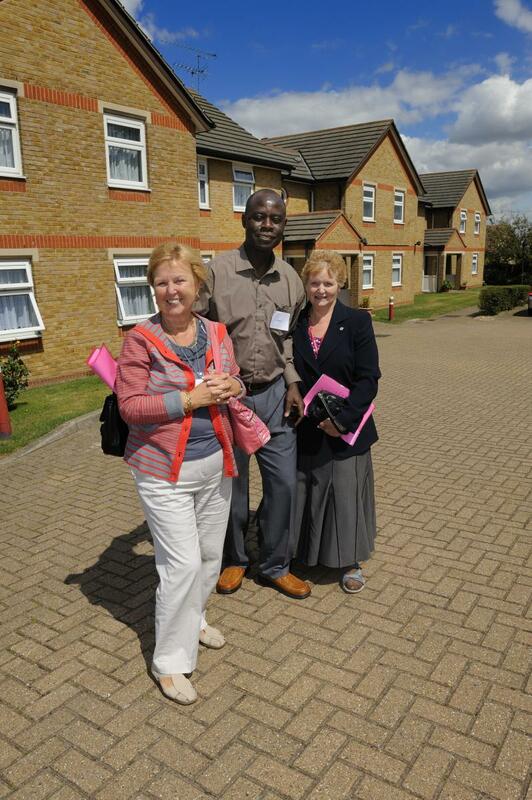 How do we build up the community-led housing sector?